I was recently involved in an A to Z Technique round robin through a great group on Yahoo Altered Arts Fat Books. I joined late and ended up with the letter Q. Hmmmm. I chose quilting with paper. The process took a long time because of the design I chose but it is actually very simple. First select a pattern and your paper. Cut out cardstock sized to each individual shape. Glue batting foam to the cardstock. Then wrap with paper, mitering the corners if you have squares to create a finished look. Arrange your design on your mount and embellish. Work on my newest mixed media book is moving along. I have finished another page and am happy with the direction it is taking. Unfortunately, this picture is not the best but I hope to replace it with a better shot soon. As always, click the photo below to see the page in more detail. 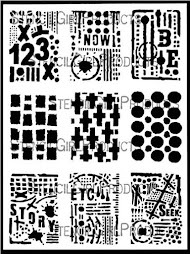 Several years ago I took a class at The Ink Pad, a rubber stamping store in New York. 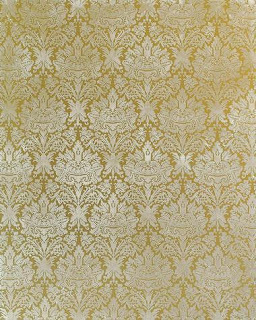 We were taught not only the basics of packing tape transfers but also the use of metallic leafing pens to create daguerreotype like photos. The process is very simple. Make a transfer using a black and white photocopy and packing tape. Then use a metallic leafing pen to cover the sticky side of the tape. Once the leafing drys, adhere the transfer to cardstock or directly onto your artwork. The final image takes on a distressed and aged look. The three samples below were taken from my own photographs of frescos and statues from Italy. 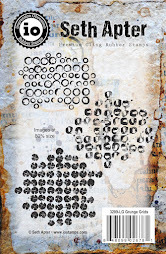 I am including some interactive elements in my mixed media book. I think there is no better way for a reader to become part of abook then to open a flap or pull something out of an envelope. The photos below are of the same page, with flap closed and flap open. Please click for greater detail. These mannequins in a London shop window reminded me of the excess and style of Marie Antoinette. Pure eye candy. Here is another page from my current mixed media book. Click the image for more detail. Above the desk where I sit writing in my computer is an inspiration board with an ever-changing array of images, artwork of mine and from others, postcards, mail art, photographs, rusty objects, etc. that provide me with ideas and inspiration. No matter what I am doing, when I sit here I am surrounded by bits and pieces that spark my creativity. 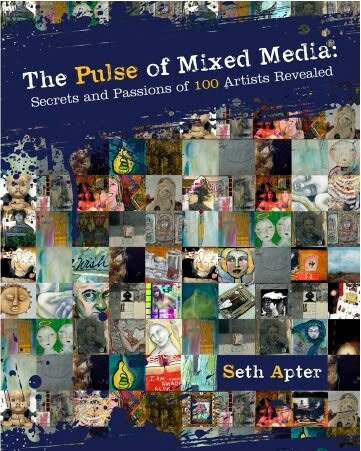 I am starting a new book to be filled with mixed media images. My plan is to have multiple sections with different sized pages. I have mocked up a prototype and am excited about its potential. I will post select pages as they are completed. Here is the first. Please click the photo to better see the detail. There is a great site on the web that allows you to change the way you see your art or your photos. You can turn them into sketches, puzzle pieces, antiques, or cubes, to name just a few. 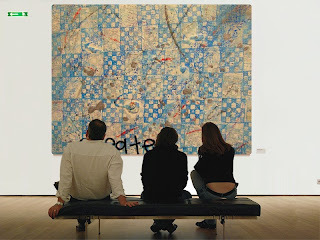 Or you can see your own work of art as it would hang in the museums of the world. Go to DUMPR and try it out. I like to include text in my artwork. Partly because of the message that it conveys but more often because I think it adds a strong graphic element to the work. This is especially true of Chinese and Japanese characters. This is a deco I made for a Yahoo group swap. I have been bookbinding for a number of years, having first learned by taking a class at The Center for Book Arts. 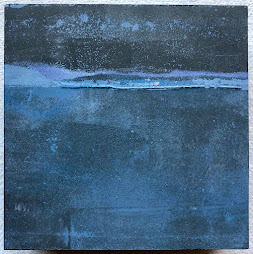 I recently was asked to make an artist book for a friend and an amazing artist, Patricia Larsen, for her recent New York show, "Remembering Blue." She filled the signatures with wonderful creations and I made the cover and bound the book. The streets of New York City are filled with stunning visuals. I never leave home without a camera because you never know what you might find. I love texture of all kinds and love to incorporate it in my artwork. Sometimes I create my own texture and sometimes it is "borrowed." Here are a few photographs of texture from the streets of New York. Here is a page for a Natural History Museum deco that I recently completed for a yahoo swap. 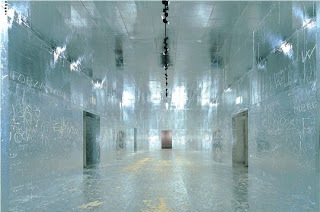 There is an amazing exhibit by the artist Rudolf Stingel going on right now at the Whitney Museum of American Art. 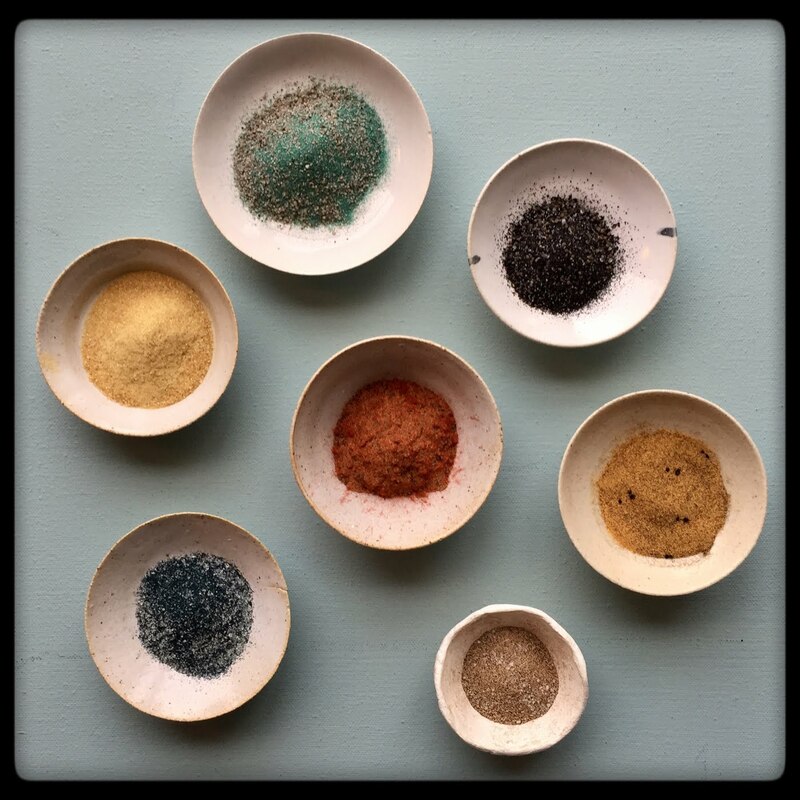 The exhibit is comprised primarily of abstract work that challenges the traditional notion of what materials make up a painting. 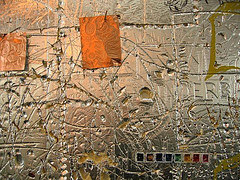 He uses such items as foil, styrofoam, rubber, and carpet to create vivid and dramatic artworks. 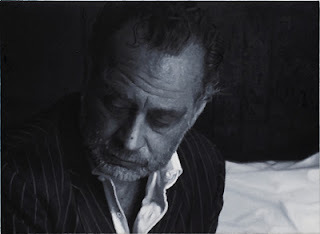 At the same time, his show includes a number of outstanding photo realistic self portraits in shades of grey, charcoal, cream, and black. Amongst my favorite pieces is a room-sized installation in which all surfaces are coated in aluminum foil and aglow with the light of a tremendous chandelier. Being an interactice exhibit where the viewer can participate, the foil is carved, etched, scratched, drawn on, taped to, etc, creating an ever changing installation. The following pictures will give you a better sense of his dynamic work. I love books...to read them, to make them, to thumb through their pages. And old books beat new books every time. I often visit the main branch of the New York Public Library, especially when they have special exhibits. A must see in London is The British Library where you can find such amazing books as Leonardo da Vinci's sketchbook, Shakespeare's first folio, the Gutenberg Bible, the original Alice in Wonderland, and so many othe treasures. Libraries make me think of those wonderful book pockets that have made their way into altered art. And remember card catalogs? Well here is a great website that allows you to make your own...just like in the "good old days." 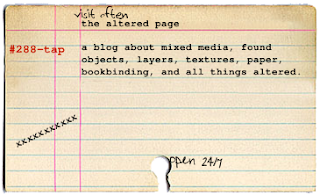 Welcome to The Altered Page. I see this blog as one more element of my mixed media artwork. Much like the paper, gesso, acrylics, and other components of each piece, I believe the conversation that I am hopeful that this blog will generate will become an integral ingredient to the creative mix. I have been involved in mixed media art, book binding, photography, and mail art for about 4 years. I love to include old, distressed and rusty found objects, text, layers and texture in my art. Over the past 1 1/2 years I have participated in a number of swaps through Yahoo Groups, an experience that has greatly widened my artistic community and allowed me to see first hand so many different creative styles. I also feel lucky to be living in New York City, where there is amazing art everywhere you look. Right now, I have 3 goals in mind for this blog. First, to share my art and receive feedback in return. Second, to share artists, websites, stores, books, ideas, and creations that I have found. And third, to share great art finds from the museums, galleries, and streets of New York. Thanks for coming along for the ride!